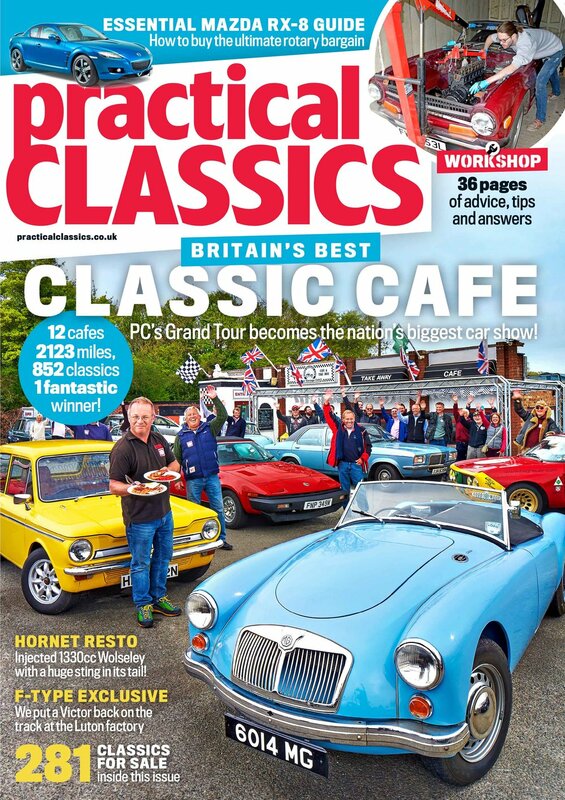 n the new issue of Practical Classics: We drive our classics around Britain in search of Britain's best roadside cafe with Footman James. From Cornwall to Scotland, who will win king of the fry-ups? Along the way, we meet lovely people and their beautiful classic cars. 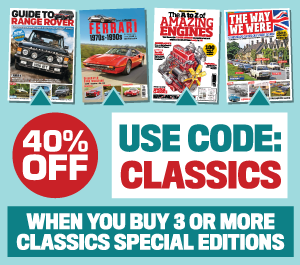 Elsewhere in this issue, there are a million tips on restoring and maintaining your classic, plus stories of heroic restorations and buying guides galore! Plus, you can see us mucking about trying to fix our own classic cars, sharing the pain and pleasure of cars with YOU! The best roadside eateries the nation has to offer - chosen by you and tested by us – on the biggest roadtrip PC has ever attempted. Have we bitten off more than we can chew? Quite possibly, if my first full cooked breakfast is to go by. We're at the Ace cafe in North London, the first of the top ten classic cafes you nominated in the competition to discover which of the nation's greasy spoons has the best food, atmosphere, history, facilities and service. Lovely story of one man and his Hornet. From a wreck to concourse, see how he brought the car back to life. He even added a little extra under the bonnet... Find out more in the latest issue of Practical Classics. Tony Lee was one of the most senior members of staff at Standard-Triumph. He started working for the company in January 1946 before national service interrupted during 1947. He returned in 1949. Sadly Tony died in September 2015. During his lifetime he made a major contribution to many of Britain’s best loved classic cars – a legacy that will endure for a very long time. En route near the old Severn Bridge, on our tour of Britain.